The Matarazzo team is a 3rd generation family run financial services firm that prides itself in being ‘less stuffy’ and ‘more approachable’ to our clients and prospects than your average financial planning firm. 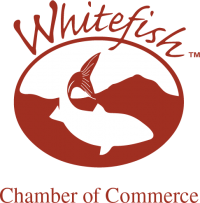 We are proud Flathead locals who enjoy time enjoying Montana’s numerous outdoor activities, such as hiking, biking, swimming, rafting, and don’t even get us started on the winter season! As a more approachable firm, we prefer an atmosphere of fun and games. But, as much as we love to joke around, there is nothing we take more seriously than our clients’ wellbeing and future. We believe in striking the balance between what’s necessary and what’s important. We aren’t ‘stiffs’ and we prefer if our clients aren’t, too. Running a family business such as ours certainly has its difficulties, the Matarazzo family feels it is worth the effort. Our “team” is indivisible. Al and Zach always joke that “when you’re talking to one of us, you’re talking to us both.” We are in constant contact, both in and out of the office, allowing for seamless continuity and service for our clients. Once we decide to partner together, you become a part of our family. We look forward to growing with you. As wealth managers, we spend enough of our day sitting in front of a computer. 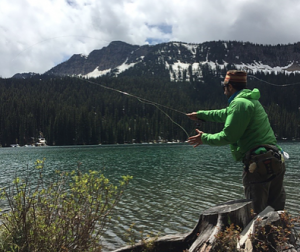 When work is finished for the day, the Matarazzo family loves nothing more than to hit the trails, rivers, or lakes surrounding the Flathead Valley. In our opinion, client meetings don’t have to be at an office, or even a coffee shop. If you enjoy hiking, we’ll gladly meet you at the trailhead. Fly fishing? We spend many weekends each summer on Northwest Montana’s world class rivers. The outdoor pursuits don’t stop when the snow starts falling; some of our most productive meetings have been on Chair 1 at Big Mountain! What are you waiting for? Grab your snowshoes and let’s meet up. Our business of financial services is really just the business of advice. For over 60 years, we’ve given advice on everything from which home to buy to which cell phone plan to choose. Because finances are an integral part of one’s personal well-being, we’ve had the unique opportunity to make very meaningful connections with our clients. We look forward to doing the same with you. When Fred Matarazzo began our family firm in 1958, he started life as an accountant. However, he constantly found himself providing financial advice that was outside the realm of accounting. That’s why a few decades later, Fred became one of the first Certified Financial Planners (CFP) in the country. Fred’s ideals, principles, and business sense has been instilled in his children at the earliest of ages. After a full life, Fred left a legacy and lasting impression to his children and community. We invite you to take part in Fred’s creation and experience the life Fred would want you to have. Al Matarazzo Jr. began his career in financial services at the tender age of 10. 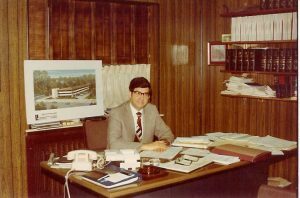 Under the watchful eye his father, Fred Matarazzo, Al began what would become his life-long career in the finance world. Al furthered his education by attending Albright College. He graduated with a dual degree in both finance and economics. Aside his father, Al was able to help grow Main Line Financial Advisors into a top financial firm in the Philadelphia area. He is eager to bring his expertise in finance to the Flathead Valley. Al spends his free time with his wife Mindy and his kids, Maddie and Zach. When on the water his family has labeled him “Admiral Al”, where you can usually find him with a fly rod on hand. Though recently graduated from Bucknell University with a degree in Financial Management, Zach gained most of his financial acumen from watching his father and grandfather at work growing up. Some of his earliest memories are sitting at his Grandfather’s desk, watching him slop spaghetti and meatballs on his white dress shirt. Zach enjoys portfolio analysis and construction, as well as account management. Zach recently received the Accredited Investment Fiduciary® designation. AIF® designees uphold the highest level of fiduciary care when working with clients. When not working or studying, he can be found outdoors year-round. 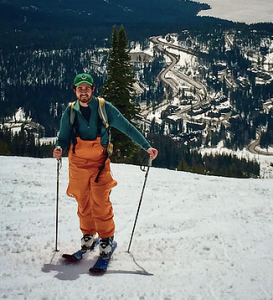 If you need an experienced hiking, biking, rafting, or skiing guide, Zach is your man! 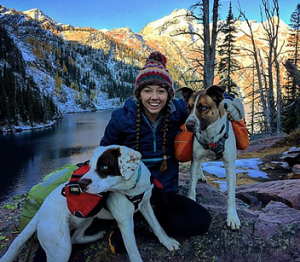 Maddie grew up in the financial world, surrounded by her grandfather and dad. Though appreciative of finance, she always preferred customer service and client communications. For that reason, she is now attending James Madison University, majoring in Technical Communications. She is focused on her studies right now but loves to help out with the family business whenever possible. She aims to ensure HeartStone Advisors has strong client relations. Regardless of your age, income, or goals, we will work with you to assess your needs and make an objective plan for your financial future. Frankly, the process can sometimes be as much work for you as it is for us! A full-fledged financial plan involves analyzing your tax return, investments, insurance, and any other pertinent documents you may have for your unique situation. In most cases, the more data you can provide us, the better! We are ready to partner with you along this journey and hope you are, too.